Heeeee haw! Every bad boy needs to look good in the wild west. 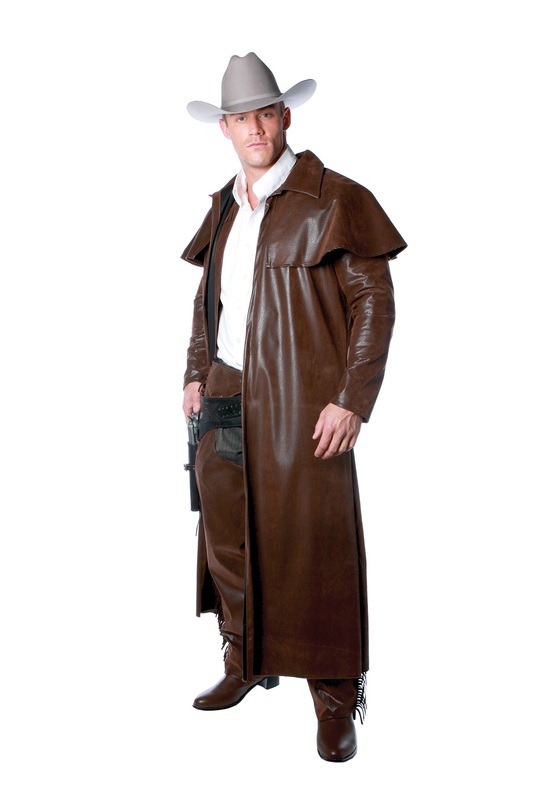 The Cowboy Duster Coat is one way of being slick while rustling up some trouble. Maybe you plan on pretending just to hit the dusty trail as a law man instead of desperado. This is the perfect accessory to get that old-time look. The Cowboy Duster Coat is 100 percent faux pigskin. No real pigs where hurt in making this coat, only pretend fake ones! The full-length coat has a short cape on the shoulders that is sewn into place. The winged collar can be worn up or down depending on what kind of look you are going for. Just add some cowboy boots, a western hat and you'll have a great gun-slinging time!